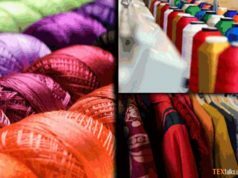 Pakistan’s biggest textile exhibition at government level, TEXPO-2019, has not only proved instrumental in further highlighting Pakistan’s soft image to the world but also attracted initially US$600 million trade through export orders by foreign buyers. Federal Commerce Secretary Mr Ahmed Nawaz Sukhera claimed this at the end of four-day 2nd Edition of TEXPO at Expo Centre. It was inaugurated by Mr. Abdul Razak Dawood, Adviser to PM for Commerce, Textile, Industry and Production at Expo Center (Lahore). Mr Sukhera said that 363 foreign buyers from more than 50 countries participated in the TEXPO-2019 and placed their orders. So far, he added, trade agreements worth US$600 million had been signed and the process would continue. He said foreign buyers also inked 10 memorandums of understanding (MoUs) with local export houses, besides visiting field and industrial units in Lahore, Sialkot and Faisalabad. He added, “More than 5,000 business-to-business (B2B) meetings were also held on the sidelines of TEXPO-2019, which will definitely help boost country’s textile and its related exports”. The secretary said that delegations from various countries including Russia, Bahrain, USA, China, Japan, UK, Germany, Saudi Arabia, Czechoslovakia, Nigeria, France, Netherlands and Spain actively took part in the TEXPO. Around 231 exhibitors including new entrants from across Pakistan put their products on display. Leading fashion designers/textile houses and retail brands showcased their latest collections also. Foreign delegations also visited historic and cultural places of Lahore and all of them liked Pakistan and Pakistani products. They termed Pakistanis peace-loving and Pakistan a great place for trade and investment, added Mr Sukhera. 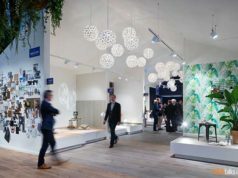 The TEXPO-2019 also featured a Trade Envoys’ Conference on the last day where the stakeholders from trade and industry and the government exchanged their opinions. The TDAP also organised a two-day seminar, attended by leading exporters from various sectors. 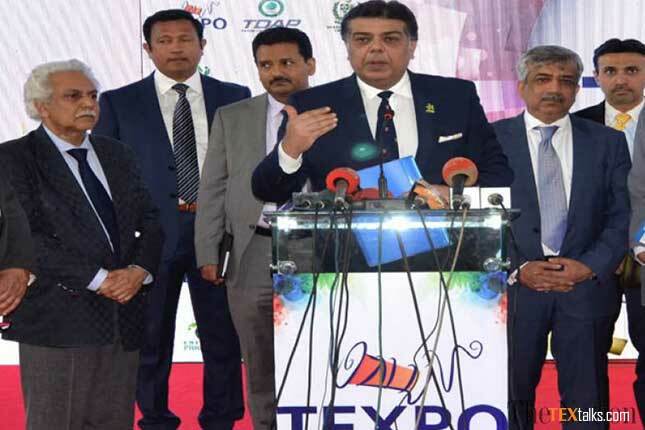 Newcomers to the TEXO-2019, Sheharyar Qamar (leather garments) and Chaudhry Salman (safety accessories) thanked the government for organising such an event. 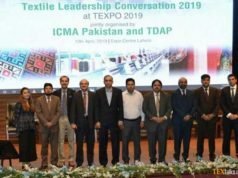 Pakistan Carpet Manufacturers and Exporters Association’s leader Maj Akhtar Nazir, President of Pakistan Leather Garments Manufacturers and Exporters Association and a French delegate also shared their views and termed TEXPO a great event for trade and export promotion in Pakistan. Syed Iftikhar Hussain Babar, Federal Secretary Textile and Industry, Ms. Aliya Hamza Malik, Parliamentary Secretary, Capt. (Retd) Javed Akbar, Additional Secretary, Ministry of Commerce and Textile, Mr. Muhammad Sualeh Ahmed Faruqui, Secretary TDAP, Engr. Daroo Khan Achakzai, President FPCCI, Mr. Khuwaja Shahzad, SVP Lahore Chamber of Commerce & Industry, Ms. Shireen Arshad Khan, Vice President FPCCI were also present on the occasion. This year Pakistan’s leading brands participated in TEXPO along-with All Pakistan Bedsheets and Upholstery Manufacturers Association (APBUMA), Lahore Chamber Of Commerce and Industry (LCCI), Pakistan Carpet Manufacturers & Exporters Association (PCMEA), Pakistan Fashion Design Council (PFDC), Pakistan Hosiery Manufacturer Association (PHMA), Pakistan Textile Exporters Association (PTEA), Pakistan Knitwear And Sweater Exporters Association (PAKSEA), Towel Manufacturers Association of Pakistan (TMA) etc had set up their stalls at the Lahore Expo Center.